Apply early for same-business-day funding.† Learn more. Head to our Rates & Terms page to learn more. CashNetUSA is a direct lender in every state we operate in except Texas and Ohio, which means we service your loan from application to repayment. In contrast, many other companies only handle the application process, passing off your information to a third party after they’ve evaluated your application. Applying through a company that isn’t a direct lender can introduce an unwelcome element of uncertainty into your loan process. Since the company that handles your application chooses the lender to send you to, you won’t immediately know who you’re borrowing from and could even wind up with a disreputable or unlicensed lender. In Ohio, CashNetUSA is a Credit Services Organization (CSO), which means that we will help facilitate a loan between you and a third-party lender. Although we will not be the lender, we service all loans in Ohio and provide our Ohio customers with the same great experience and customer support that we offer in states where we are the direct lender. In Texas, CashNetUSA is a Credit Access Business (CAB). We will assist in arranging a loan between you and a third-party lender and then service the loan when issued. As in Ohio, all Texas borrowers will receive the same great customer support that we offer to all of our customers. CashNetUSA's payday loan amounts differ depending on the state you live in (check our Rates & Terms page for more information). Our online loan application is quick and easy and takes most people just a few minutes to complete. Since 2004, CashNetUSA has proudly helped more than 3 million hard-working Americans get the cash they need, when they needed it most. 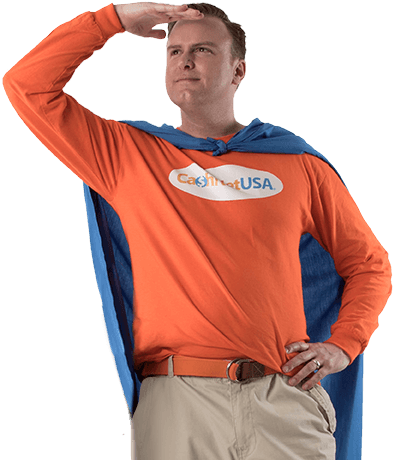 Our U.S.-based customer support team is available seven days a week through email, phone or online chat, and collectively we strive to make CashNetUSA the best lender for payday loans.